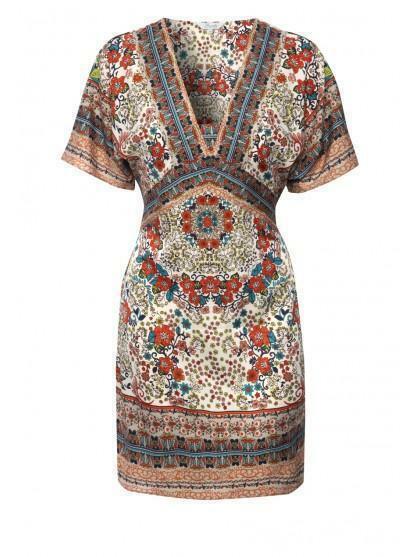 Create a folk look in this womens kaftan dress. Featuring a v neck, all over print and short sleeves this dress also has a tie waist creating the perfct hourglass figure. 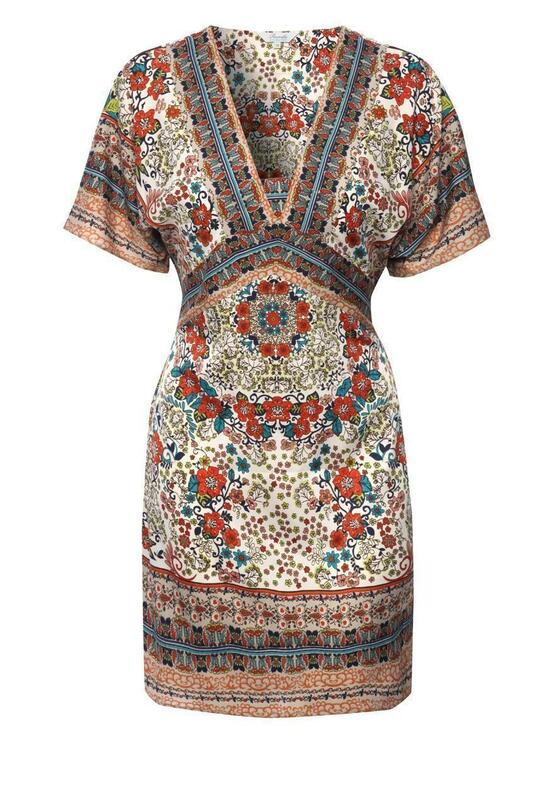 Wear this dress with embellished sandals and a tan bag. Peacocks has a great selection of women’s fashion kaftans online.